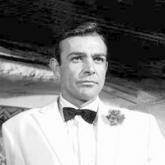 The as-yet-untitled book will appear in 2013, the 60th anniversary of the super-spy's first literary outing, in Ian Fleming's Casino Royale. Boyd has revealed that his story will mark a return to "classic Bond" and will be set in the late 1960s. He is the third author in recent years to be invited by the Ian Fleming estate to write an official Bond novel. Before him came American thriller writer Jeffery Deaver, who penned Carte Blanche in 2011; and Sebastian Faulks, whose Devil May Care was published to mark Ian Fleming's centenary in 2008. Deaver's book, released in May last year, is set in the present day and portrayed Bond as a Royal Naval Reserve veteran whose service included a tour of Afghanistan. It has sold over 160,000 copies to date and is out in paperback next month. Sales of Carte Blanche in its opening week were about a third of those achieved by Faulks' book in the same period. Other writers to take on Fleming's hero include John Gardner and Charlie Higson, author of the Young Bond books. Boyd said he had "accepted at once" when invited by the Ian Fleming estate to write the new Bond novel. "For me the prospect appeared incredibly exciting and stimulating - a once-in-a-lifetime challenge," he said. "In fact my father introduced me to the James Bond novels in the 1960s and I read them all then - From Russia with Love being my favourite." Boyd's novels include A Good Man in Africa (1981), which won the Whitbread First Novel Award; An Ice-Cream War (1982), shortlisted for Booker Prize; Brazzaville Beach (1990); Any Human Heart and Restless (2006). Boyd's "fascination" with Ian Fleming was previously seen in Any Human Heart (2002). He wrote Fleming into the narrative, making him responsible for recruiting the protagonist, Logan Mountstuart, to the Naval Intelligence Division in World War II. Boyd also points out that three of his screenplays have starred big-screen Bond actors: Sean Connery in A Good Man in Africa, Pierce Brosnan in Mr Johnson and Daniel Craig in The Trench. "The idea that these somewhat random connections with Fleming and Bond should culminate in my writing a new James Bond novel is irresistibly appealing," Boyd said. "The only thing I'm prepared to say at this stage about the novel that I will write is that it will be set in 1969." His most recent novel, Waiting for Sunrise, was published in the UK in February and comes out in the US later this month. "William Boyd is a contemporary English writer whose classic novels combine literary elements with a broad appeal," said Corinne Turner, managing Director of Ian Fleming Publications Ltd.
"His thrillers occupy the niche that Ian Fleming would fill were he writing today and with similar style and flair. This, alongside his fascination with Fleming himself, makes him the perfect choice to take Bond back to his 1960s world." The new Bond novel will be published in the UK and Commonwealth in autumn 2013 by Jonathan Cape - Ian Fleming's original publisher - and simultaneously by HarperCollins Publishers in USA and Canada. Cape was also the publisher of the first ever official Bond novel following Fleming's death in 1964, when Kingsley Amis wrote Colonel Sun as Robert Markham in 1968. Fleming's first Bond novel, Casino Royale, was published in 1953. Since then, the Bond books have sold more than 100 million copies worldwide. The 14 books, including two short story collections, will be relaunched this summer. Sales are likely to be boosted by the release, in October, of Daniel Craig's third 007 film Skyfall, which comes 50 years after the original Bond film, Dr No.